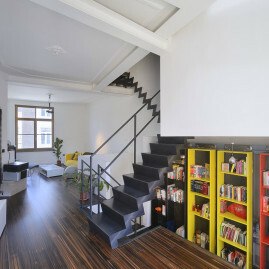 How a small house became big and spacious. 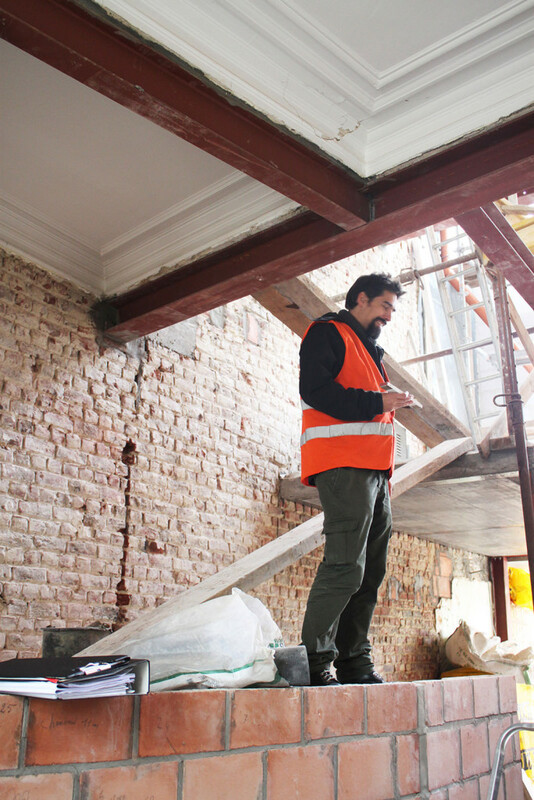 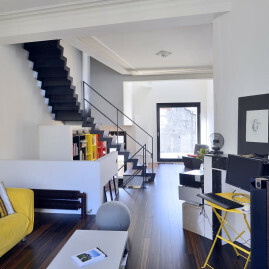 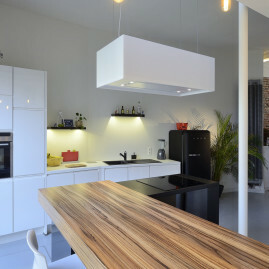 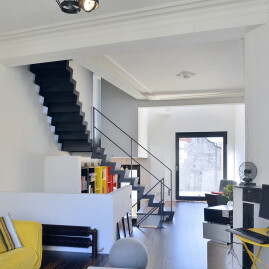 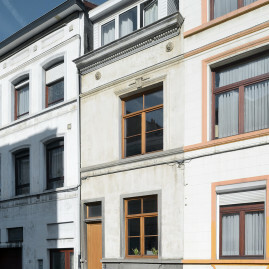 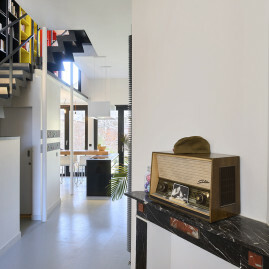 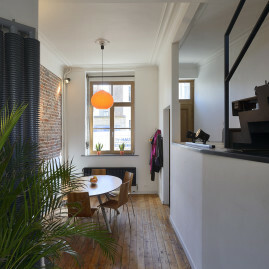 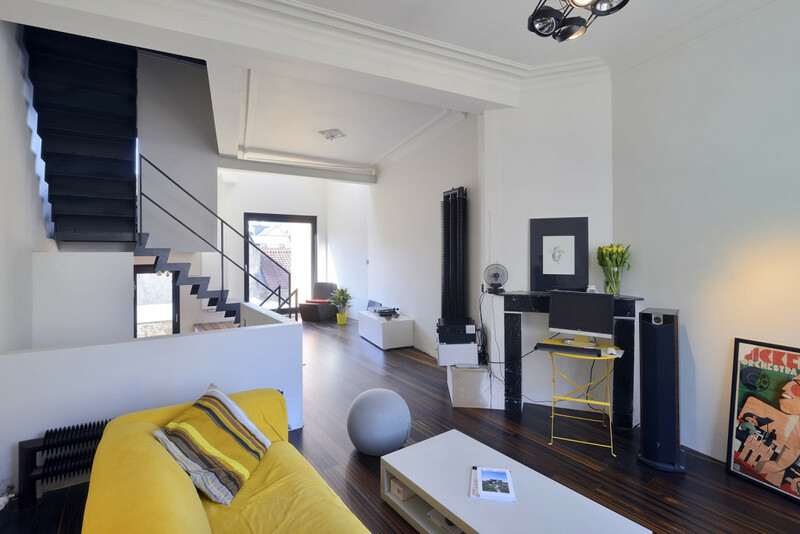 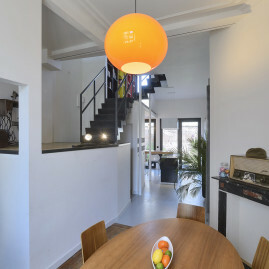 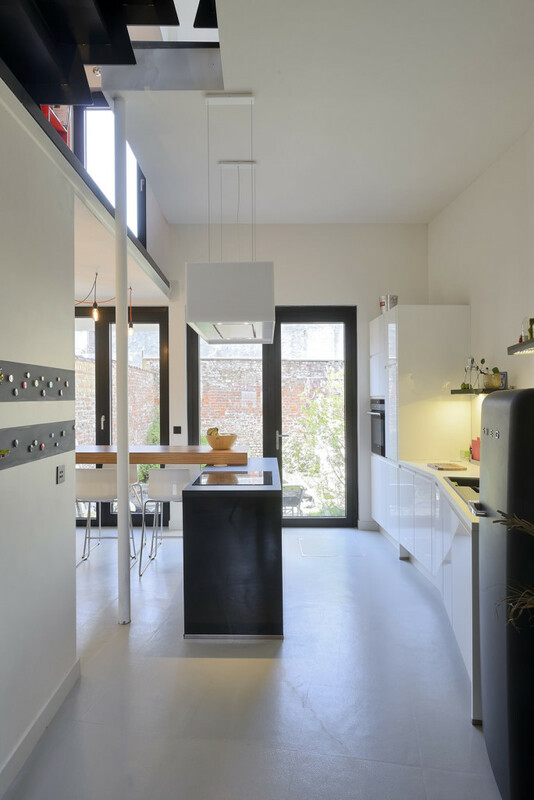 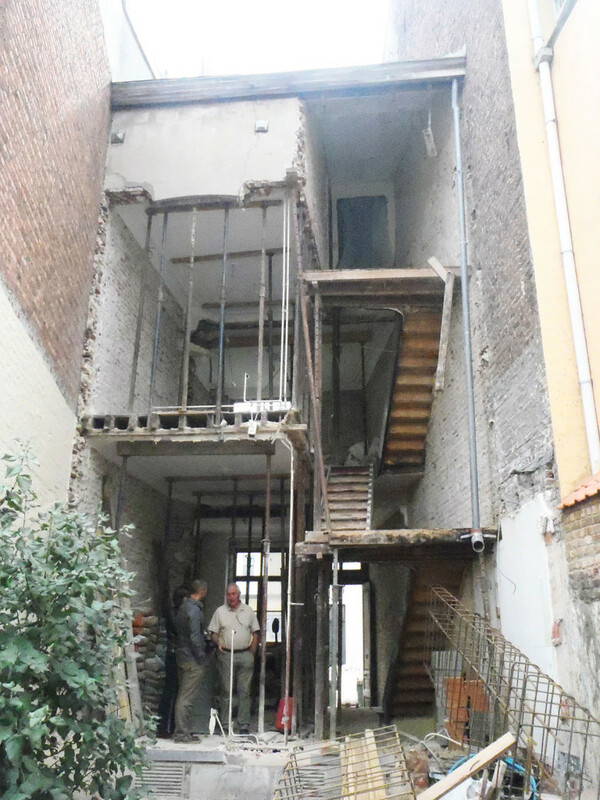 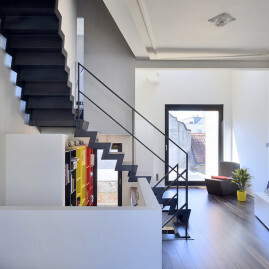 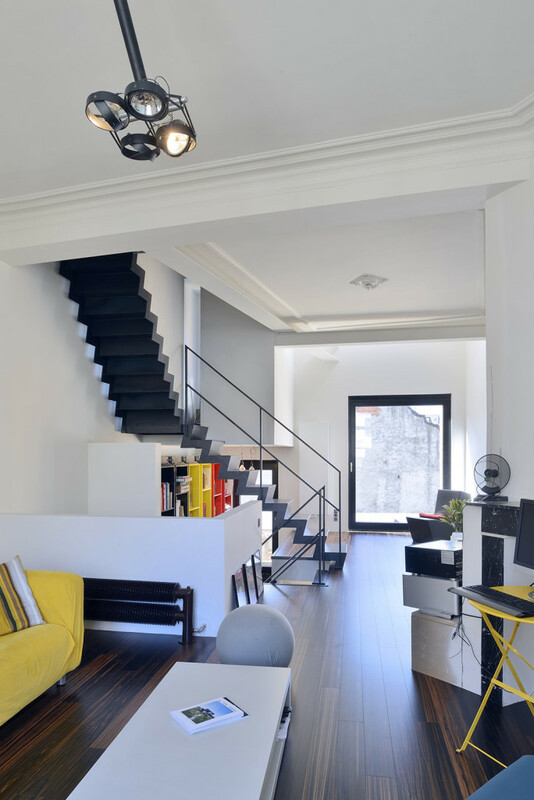 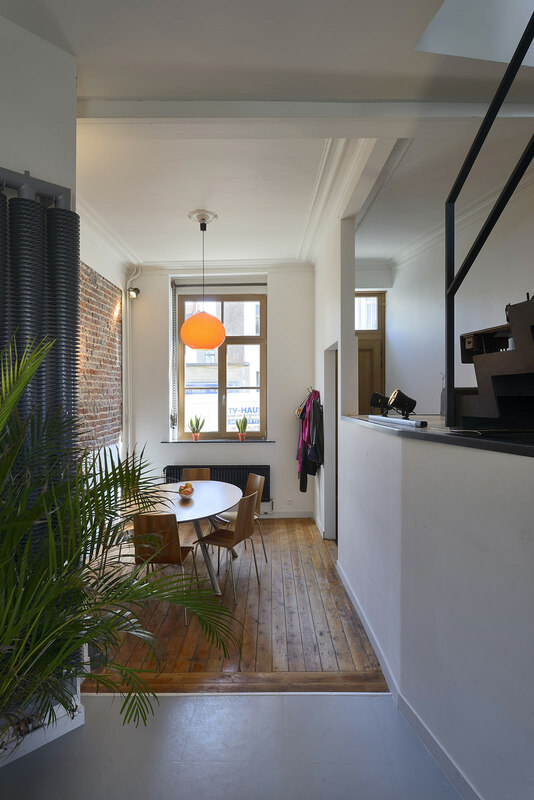 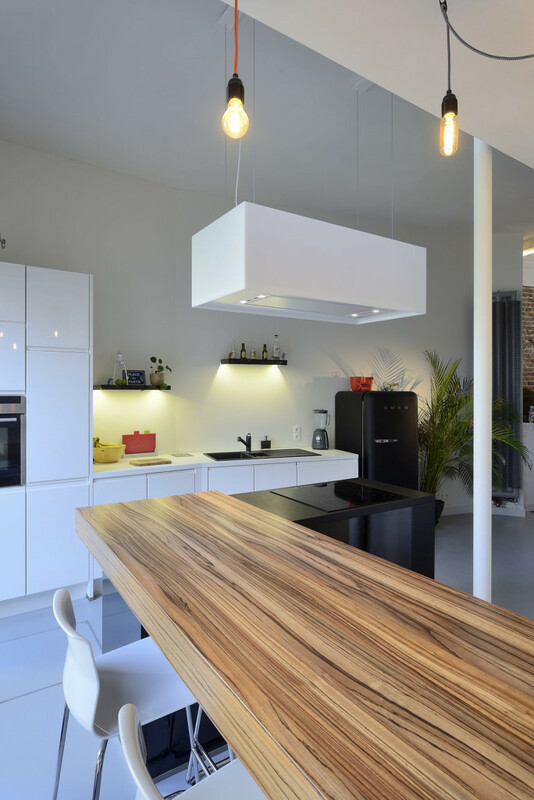 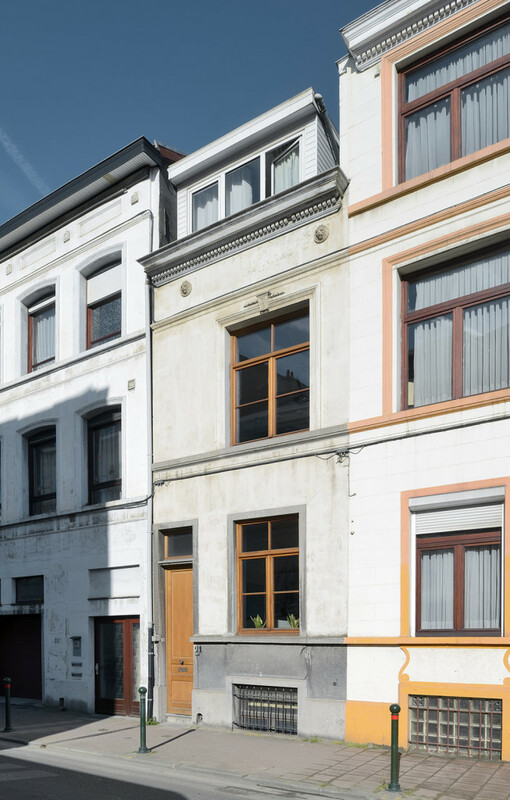 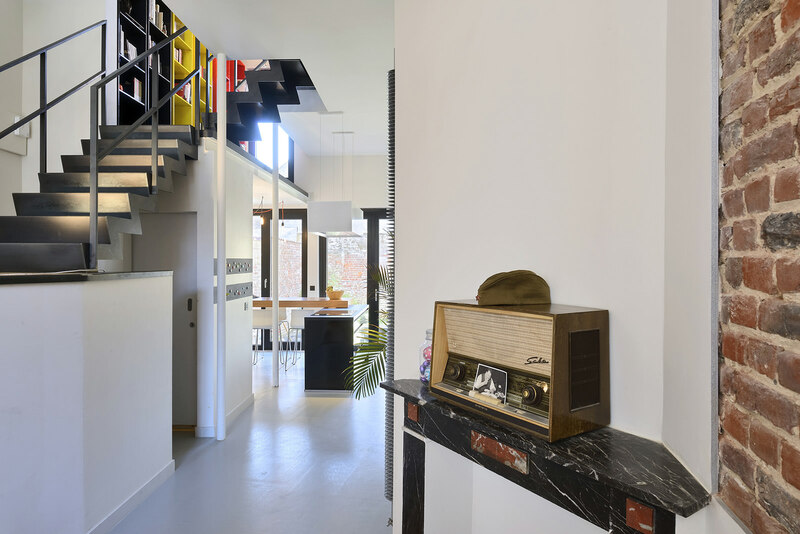 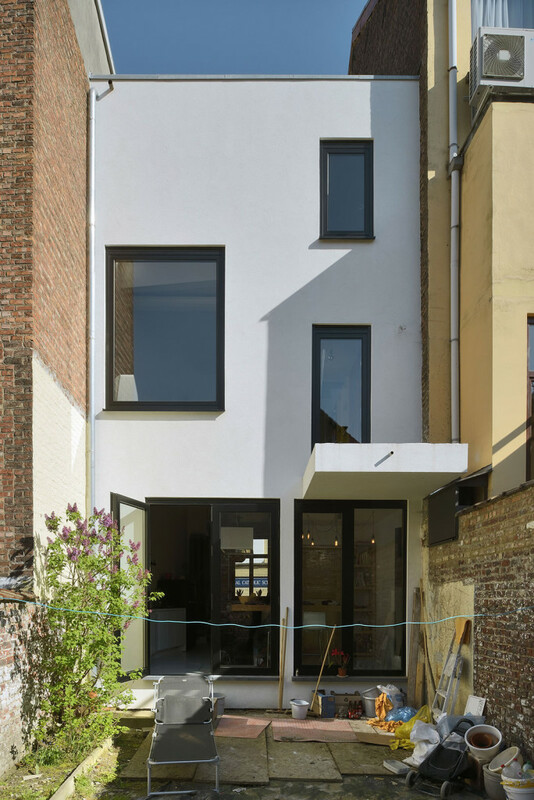 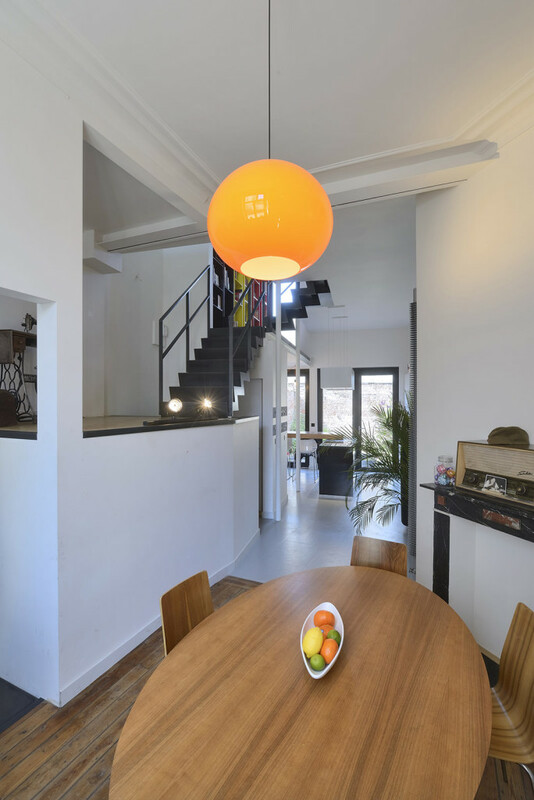 A small and narrow city dwelling in Etterbeek is practically begging for bigger and above all more spacious living spaces. 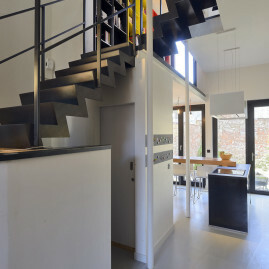 It had a very classical layout with an entrance hall and a corridor with the stairs, leaving almost no space left for living. 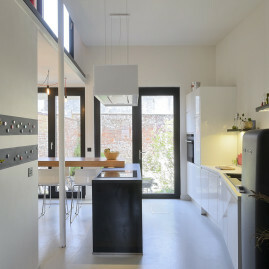 In addition the owners use a bike to commute in the city, they want a solution for storing the bikes without them cluttering the entrance. 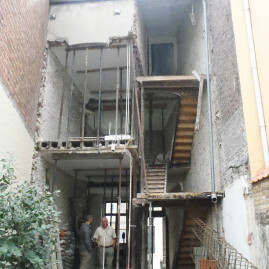 Ground- and first floor were for the most part demolished. 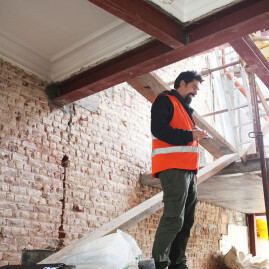 The upper roof and rooms in the attic were left unchanged and supported throughout construction. 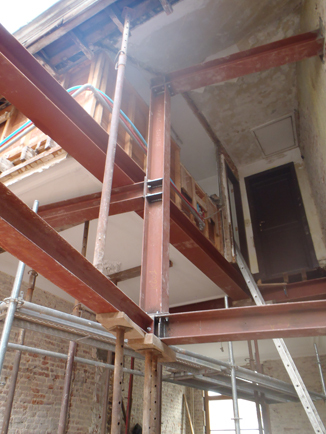 All the inner walls were demolished; the upper structure is supported by steel beams. 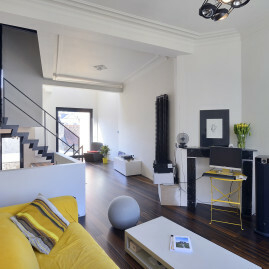 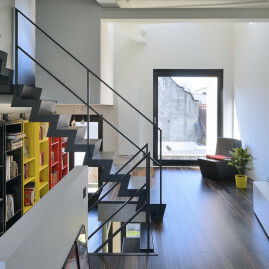 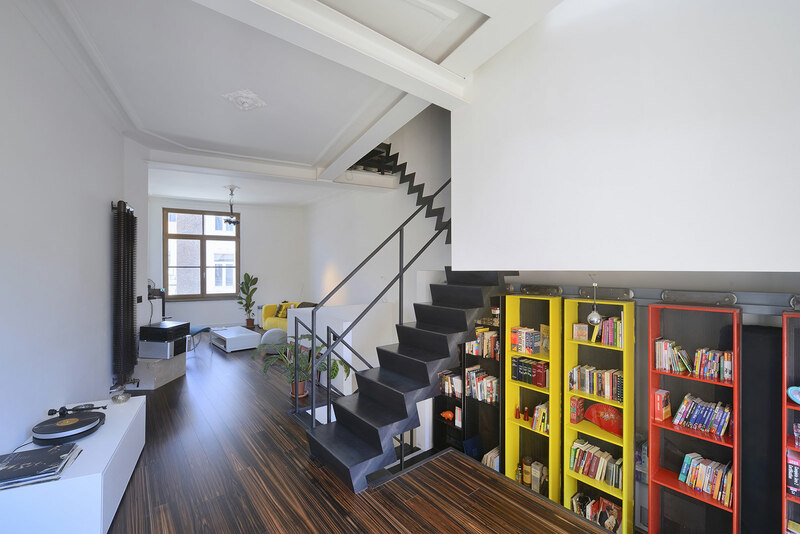 Instead came an open and large living space spread out over several floors, along with an extension on ground and first floor. 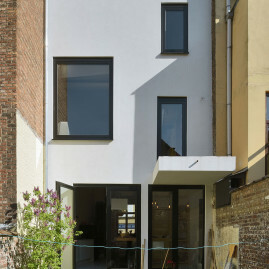 Together with the large windows at the back of the house this creates a sense of space and perspective. 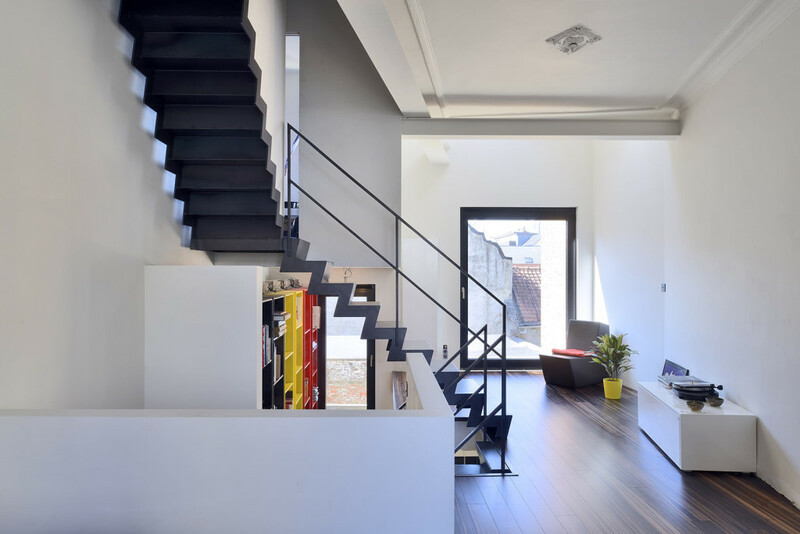 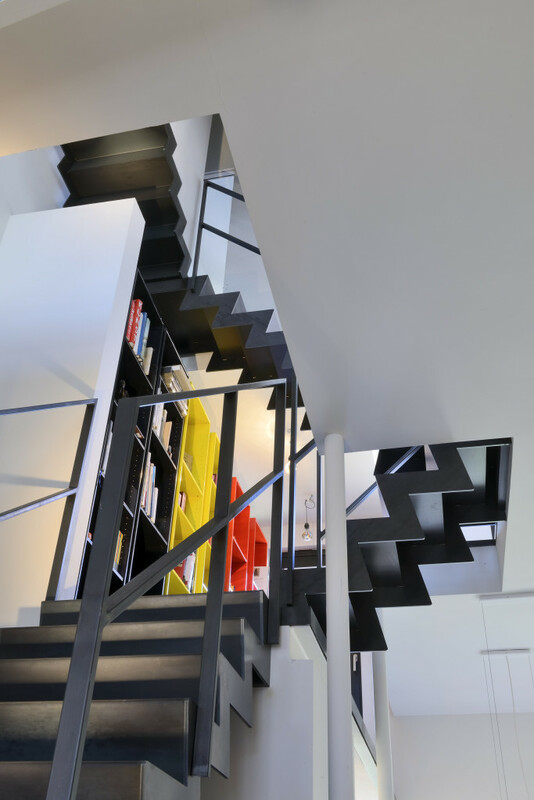 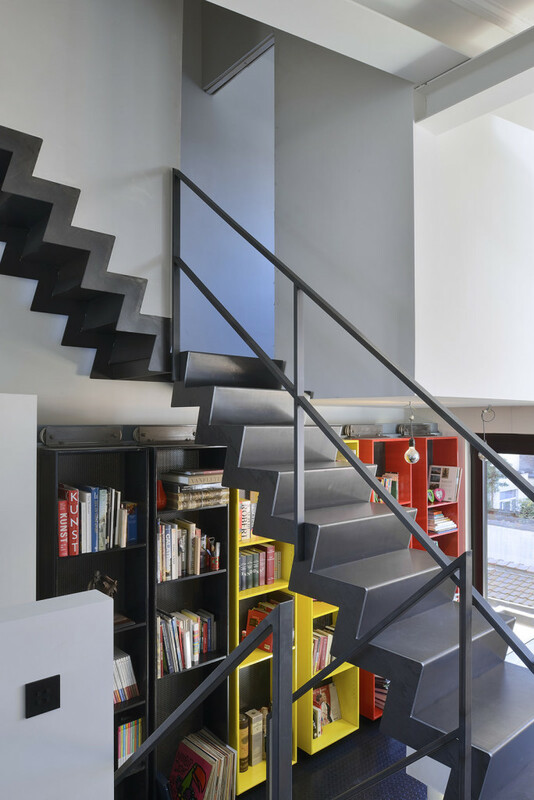 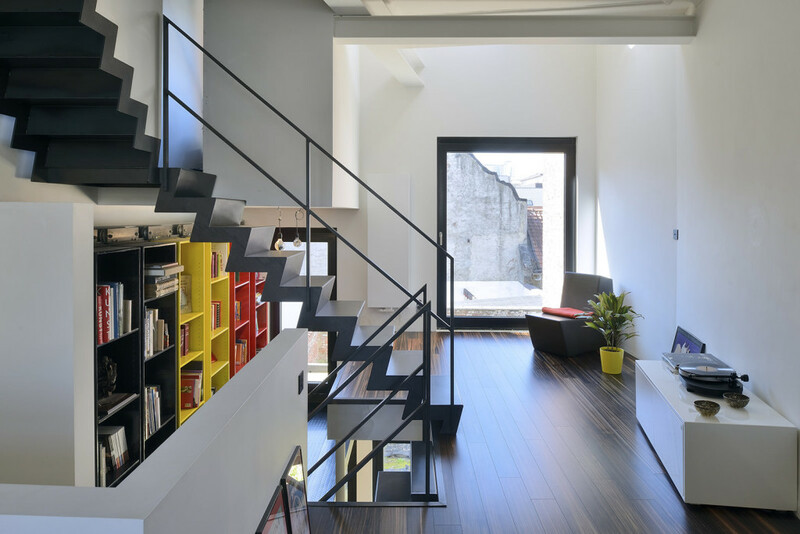 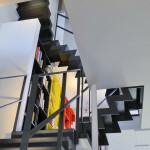 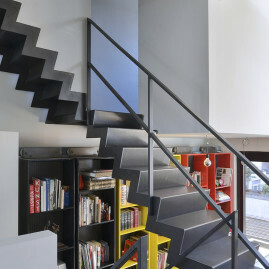 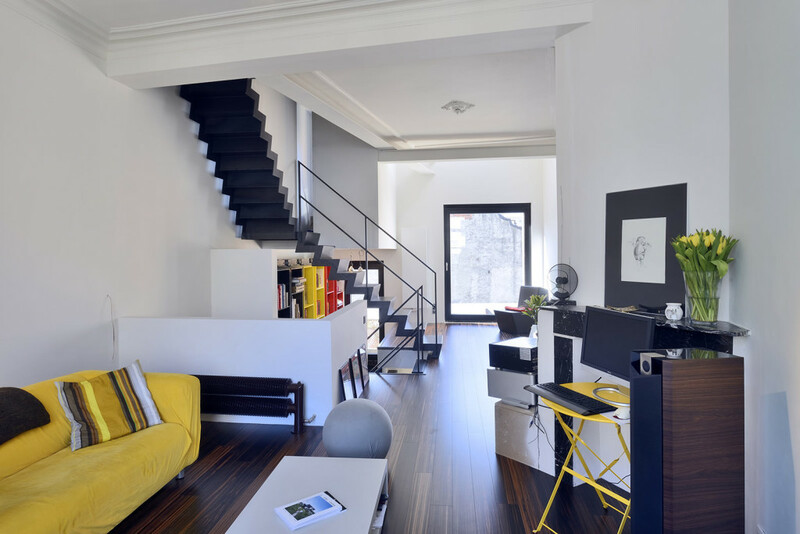 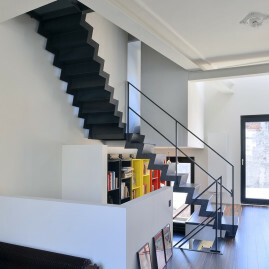 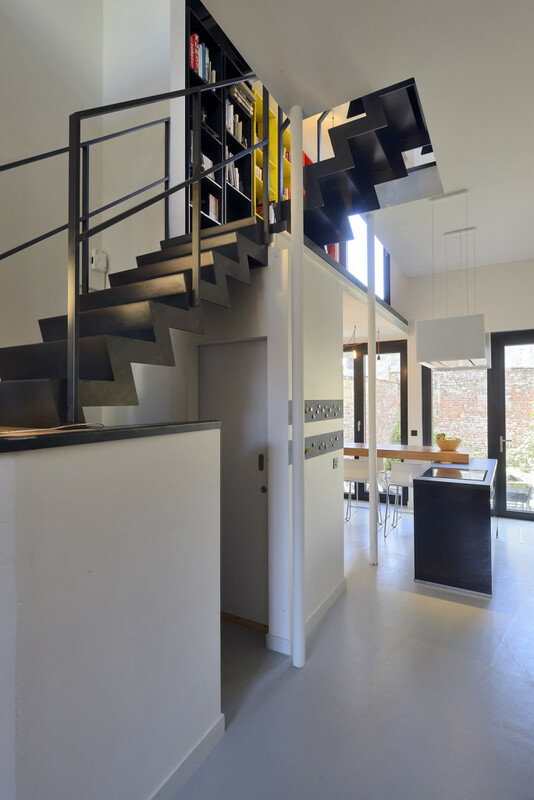 A new staircase meanders through the living area with enlarged landings. Each landing has a function: a working space, a library and a walk-in closet. No more bikes in the hallway, they are tucked away in a ‘bike box’: a storage created inside the house at street level. 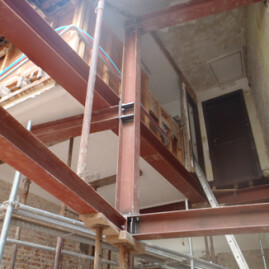 The roof of the box is also the first useable enlarged landing. 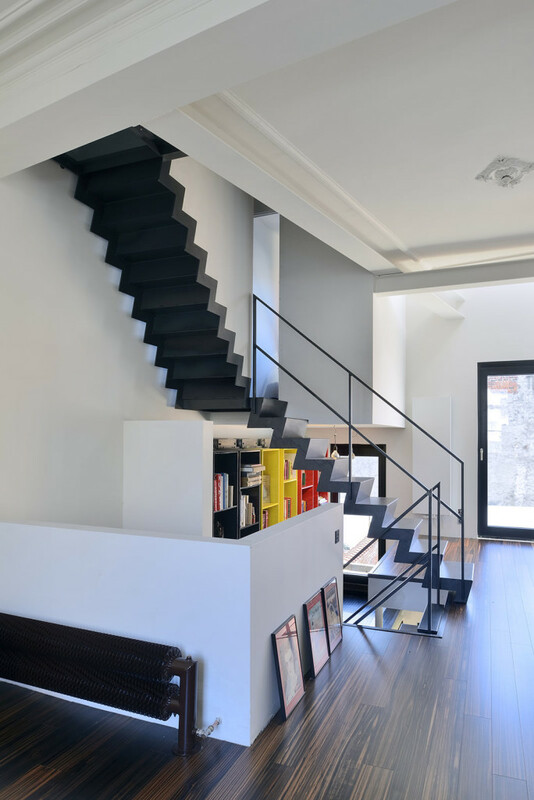 In stead of a classic layout with small chambers and lots of lost space, you get a fluent room over multiple floors, accessible via enlarged landings on different levels.